PHOTOS: No Smoking … no kidding! An oil tanker sits in a Spanish port. B.C. environmentalists don’t want to see scenes like this on their coast. (Photo: Wikipedia Commons) A lot of Albertans believe they’re going to have to. Below: Report Author David Hughes and Alberta Premier Rachel Notley. Whether or not it is actually true, tout le monde political Alberta nowadays believes fervently our province’s oil will fetch a higher price if you can ship it to a saltwater port, particularly a West Coast Canadian saltwater port conveniently along the way to Asia. This is the theoretical foundation of the increasingly passionate insistence that we Albertans must be allowed to build at least one new pipeline to the West Coast to get the best possible market price for the oil squeezed out of the Athabasca Bitumen sands. This Albertan insistence has in turn become the cornerstone of a similar debate in British Columbia, although in that province the discussion is being led nowadays by people who are just as convinced pipelines must never be built. So on one side we have Albertans of all political stripes who believe that our province’s economy depends on the pipelines being built, and on the other we have many British Columbians who believe the survival of the planet may depend on them not being built, and many more who simply don’t want to face the risk of having them run through their province and the waters off their coast. In other words, whatever else they are, the so-called tidewater premium and the conceptually similar Asian premium for Alberta oil, and especially Alberta bitumen, are now deeply entrenched political facts. Enter earth scientist David Hughes with his apple-cart-upsetting view that the evidence strongly indicates there is no tidewater premium for Alberta Bitumen, and no Asia premier either. He told this to a conference in Victoria two weeks ago, while the dust from the B.C. provincial election was still settling. He said it again yesterday in a report on the topic released by the Edmonton-based Parkland Institute and the Canadian Centre for Policy Alternatives just as it appears the political opponents of new pipelines, B.C.’s New Democrats and Greens, are likely to form a new government when that province’s Legislature eventually gets together again. This is sure to further inflame a debate that is already getting pretty heated on both sides of the appropriately named Great Divide. According to the report – Will the Trans Mountain Pipeline and Tidewater Access Boost Prices and Save Canada’s Oil Industry? 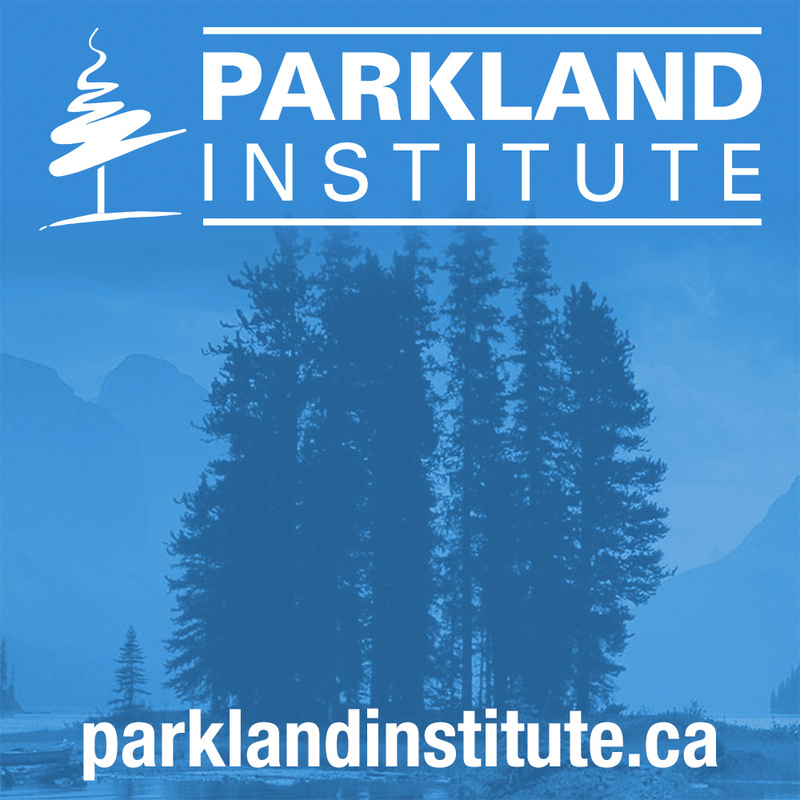 – published yesterday by Parkland and the CCPA as part of their Corporate Mapping Project, several assumptions on which approval of the pipeline was based are questionable or no longer valid. Needless to say, this message is deeply disturbing to many important people in Alberta, politicians on the left and right alike who have based their political strategies on the assumption pipelines to Canadian tidewater are essential to the future of the province, and their yardstick for success or failure on whose strategy is most likely to get a pipeline built. Mr. Hughes has said similar things before – but they didn’t rock the debate then the way they have now because the political facts in Alberta, Ottawa and especially British Columbia were quite different a year ago than they are today. The latest Parkland-CCPA report is already generating ad hominem attacks on Mr. Hughes in commentary sympathetic to the pipeline and resource extraction industries that argues because he’s an earth scientist, not an industry insider, and because his forecasts aren’t as optimistic as their forecasts, he’s all but producing alternative facts. The trouble with this line of attack is that what Mr. Hughes is producing is an alternative interpretation of the known facts, which is, as they say, a horse of a different colour. His work is respected in academic circles for a reason. And this means his report truly has the potential to dramatically undermine the prevailing narrative. People with a lot invested in that tale aren’t going to like that one bit. The days of using fossil fuels are coming to an end. The Saudis figured this out a few years back and decided to keep market-share in the meantime, hence the low price that has made bitumen uneconomically feasible going forward. No one wants your bitumen. Mark our words: The new Enron* pipeline will never be built. Ron, I have certainly wondered if the Saudis realized they better start selling their oil at a discount so they can get something for it before electric cars render their only export commodity worthless. I would also love to know how much money Saudi insiders made shorting international energy company stock. You mean the decision is no longer fact based as the PM says. I could tell Trudeau that. I have a notebook full of green initiatives being brought into being around the world, China and India leading the pack. 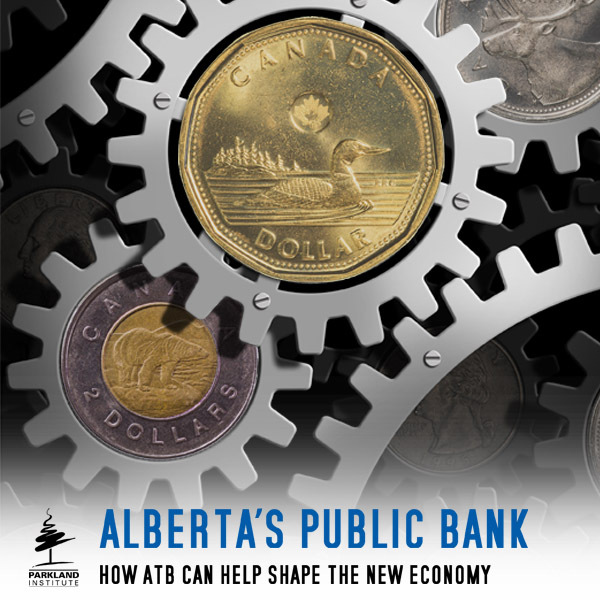 If Alberta hadn’t given its wealth away it wouldn’t be in such a pickle. It would be operating from a position of great wealth, like Norway and could be concentrating on getting off all petro products, like Norway. Norway now has an electrically powered autonomous ship operating which will replace 40,000 diesel truck journeys for instance. Those tankers from the Kinder Morgan would be travelling through the center of one of the most beautiful cities in the world. Rachel has no right to demand that. Both Premier Notley and Prime Minister Trudeau have promoted their carbon tax initiatives as creating the political conditions that will get energy infrastructure built. When the Prime Minister approved Kinder Morgan, Keystone XL had not been given the go ahead in the US. According to this report the possible existence of Keystone XL puts the necessity of Kinder Morgan in question. I personally hope Kinder Morgan does not get built as this will show the failure of both the Premier’s and the Prime Minister’s political narrative. The actual economic benefits of Trans-Mountain, and other so-called “pipelines to tidewater”, are actually irrelevant; support for such infrastructure is absolutely essential for any politician to ever have a snowball’s chance in Hades of being elected in Alberta. In fact, the best option, which is to have all upgrading and refining done here on Alberta, thereby keeping the value-added jobs local, would require far more government intervention in the market than would be politically palatable here in Alberta (remember NEP, anyone???). However, the real issue here at home, is that neither of the two conservative opposition parties have said what they would do differently about getting such pipelines built, other than return to more of the same hectoring and climate-change denialism that was their tune prior to the 2015 election. concerns about spill safety and climate action, and yet are also in favour of economic growth and jobs. I don’t know if it will work, or if they will be reelected in 2019, but at least they are trying. Exactly. And come 2019, no one will be able to accuse the NDP of not trying. sure that’s the way if we do live in perfect world. unfortunately…. canadian consumption market is too small and already have a fierce competition, so anyway, to sell a surplus of carbon based products, we need open for themselves world wide market. do you really think an idiots (doesn’t matter in BC or Quebec) would allow the transit of refined/finished product through their provinces? I don’t get it. No NDP supporter is going to turn away from the party on account of a pipeline project that isn’t built. No right wingers would vote for NDP even if a pipeline were built. So what’s the gain? The AB oilsands industry flourished for years without this project. Why has Notley’s NDP needlessly embarked upon such a rash and reckless course? Why has Notley expended so much political capital on a pipeline? Why has the AB NDP tied its political fortunes to Trans Mountain expansion? David Hughes analysis is decisive. Yet, he’s far from the first… in the past couple years other energy industry experts such as Ross Belot (below), and others with number-crunching expertise (e.g. Robyn Allan) have written publicly about false economic benefit claims being made for tidewater pipelines. And some tried to have the same analysis heard and examined by NEB review of TransMountain. excerpt: ‘…Premier Notley just became the latest Canadian politician to play games with pipelines. She’s telling Albertans a pipeline to tidewater can cure what ails the industry. It won’t — it can’t — because the problem a pipeline to tidewater was intended to address doesn’t exist anymore. Alberta’s problem is twofold: Its oilsands have been buried by fracked American oil that is both higher-value and cheaper to produce, while longer-term they face marginalization in a world committed to weaning itself off carbon. And to Climenhaga’s point about ‘political facts’, these critics of the petro-industry’s pipeline nirvana propaganda were ignored or marginalized by my most mainstream commentators in Canada’s mainstream media, and also mostly ignored by the MSM’s reporters. re: lack of MSM coverage… Belot’s commentary was published in a relatively new online news outlet. And as of today, Google’s top hits on David Hughes’ report are mostly smaller media outlets, except for the CBC. Business-as-usual. And, of course, the enviro’s and FNs were largely ignored or dismissed or demonized, when they tried to get some attention from the mainstream media and political class for this analysis. Sadly, I think history shows that as long as whatever serves the petro-industry’s interest is considered the equivalent of the public interest, this catastrophic dominance of politics by business-as-usual propaganda will persist. those, who’s investing OWN money (and that’s many billions) and takes PERSONAL risk of lose it, seems just do not appreciates such good free advice from these number-crunching “experts”. If you think this is all about private capital and private risk, you don’t know much about economics. No capitalist in history, beyond mom and pop types, ever risked anything without huge government financial backups, either directly or indirectly, and bitumen extraction is no different. can you be more specific on “huge government financial backups” in establishing private commercial initiative? Val, the most obvious financial back up is the government stepping in to allow these private companies to forcefully take land from individuals, natives, and the general public for their routes. Pure government sanctioned theft for the benefit of some private shareholders in most cases. Another obvious is downloading the costs of failure to individuals and the public in the case of leaks. Not to mention just walking away through our corrupt bankruptcy laws if things go really badly (orphaned wells or abandoned tailings ponds anyone?). And then there are the income tax write offs, the costs of hearings, regulations etc which fall on tax payers. Don’t forget the cash grants for drilling ($200/meter), roads and bridges built at public expense, public R&D which made the whole Tar Sands project possible. In a more general sense there is the strip mining of public trust and the collapse of democracy it is creating. Notley is just as guilty of this as the other creeps ‘elected’ over the years. 1. i don’t see any kind of land grab, especially transfer of land ownership to private entity. lease – yes but no privatization. as a matter of fact perhaps there nowhere in the world exist pure private land ownership other than by respective government of every particular country. 2. can’t argue much. that’s true, insolvency laws isn’t perfect but on other hands, if business goes belly-up and have no funds, what one can do about? seems like lately government wanted to create back-up fund from corporations contribution, to clean up sites. we’ll see if that could work. 3. on such scale you cannot play the game beneficios for you only. if you have no funds or don’t like to invest your resources, but like to intensify economy, you have no choice but to give some extra faves to outside investors. do i like it? hell, no but that’s how present ill fated capitalism work. 4. never been adamant follower of any politician. Ms. Notley aren’t exception but after all we all just human with all those pros and cons. Val, on your point # 1: Just try saying “no” to a pipeline, oil well, or electrical transmission company wanting to take your land. There is no rule of law, just pure government sanctioned theft by a private company against (usually) an individual landowner for the sole benefit of (almost always) foreign shareholders with government stooges lying and spying for them and pretending it is in the public interest. This is Alberta and nothing has changed. Your distinction between privatization and leasing is sterile. These things are effectively forever. Again, this is one of only a few mentions in MSM coverage of this price reality which is at odds with the pipeline cheerleading that gets the headlines. New piece by Ross Belot pointing out AB already competes with tidewater prices… no new enhanced market. And, any higher prices are obtained for refined production elsewhere… thus no benefit to Canadian/AB tax revenue streams. excerpt: Similarly, if companies like, say, Shell ship on the line, they’ll buy cheap in Edmonton and then sell at a profit in other regions (a concept known in the industry as ‘arbitrage’). So a good portion of the volume moving will have no benefit to Canada. How about the access-to-other-markets argument? Mexican Maya crude is moving now to Europe and Asia. Once crude makes it to tidewater, it has low-cost access to markets around the globe. Our crude is already seeing the effects of these movements to Asia because it competes with Maya to get into refineries in the Gulf Coast. There is no ‘new market argument’ here in today’s environment. Facts are just that; facts. “Political facts”, as Kelly Anne found out, the hard way, is just spin. Usually BS, often lies and always misleading and obfuscation. That anyone, but especially Albertans, would rely on these to perpetuate a decades old myth rather than address today’s problems with contemporary solutions says everything you need to know about the effectiveness and wisdom of your leadership. It’s beyond strange (or ironical, as they say in these here parts) that during the year of Canada’s celebration of 150 years of control of largely unceded territory, previously occupied by permanent cultures and societies for millennia, that once again the occupiers want to come and take lands that don’t belong to them. It was not a fair confrontation between European colonialists and aboriginal peoples then but it’s a much different story today. Just try taking lands away from people on the Coast or the Mountains; go ahead. I double dog dare you. The Order of Canada for David Hughes! He has now made the largest single contribution to demolishing the faith-based “pipelines to tidewater” narrative. “For those of us living in advanced industrialized countries, inexpensive oil through 1970 has largely made our current standard of living. But Perez Alfonzo understood that oil is a non-renewable resource. It has huge costs associated with it, not only benefits. “Let me be clear: the commodity itself is neither good nor bad. “But the excessive profit involved from what Adam Smith called ‘reaping what has not been sown’ has led to a concentration of power and influence that makes it exceptionally difficult to fight the negative consequences of hydrocarbon dependence. This is true not only in Venezuela, Nigeria, Russia and the Middle East but also in the U.S. and Canada. “Today, more than ever before as the ‘easy’ oil is being used up, the exploitation of petroleum in pristine environments hurts our water and the air we breathe. It threatens our climate. It props up authoritarian regimes and increases the propensity for war. In this respect, Juan Pablo Perez Alfonso was a visionary. He saw something about ‘the devil’s excrement’ before anyone else, and then he was kind enough to show it to me. Like so many others trying to reach a reasonable conclusion on the pipeline issue, I find this discourse challenging. Am I being naive in assuming that whether the Trans-Mountain pipeline will be built or not will be up to Kinder Morgan and their investors as much as any government? The BC government made a deal with KM with conditions, didn’t it? I’m not sure on what legal basis the ND/Green coalition in BC can halt the project — or, for that matter, how the Alberta Notley government can push it forward. Within an uncertain political, economic and environmental context, KM will have to decide whether it still wants to proceed, won’t it? Can they meet the approval conditions? (And the least the ND/Green coalition can do is enforce conditions strictly). So, what’s going on inside KM? Why aren’t the media pursuing that angle? A key to KM’s position is how much its Initial Public Offering (IPO) will raise. The confidence in potential financial rewards for private citizens is what will drive or not drive this project. Andy, you do raise a very salient point. All the governments are doing is giving (or trying to prevent) permission for the company to do the building; it will be the company itself that will decide if the construction has financial merit. I guess this is the problem I have with the entire premise of David’s article; although I certainly lean towards the Parkland Institute’s beliefs, a report they commission can hardly be considered unbiased. On the other hand, before a pipeline company invests billions in building a pipeline, they are going to do a thorough, and unbiased, evaluation on the financial merits of the project. Their jobs depend on getting it right. Please note that it is only the financial merits report that I am claiming are unbiased. The pipeline companies deploy their biased report writers at the environmental impact assessment stage! I agree with you. Kinder Morgan is the main party here. They raised $1.3 billion in the IPO just completed but wanted $1.75 billion. The total project is estimated to cost $5.5 billion for a pipeline expected to transport dilbit for 40 years. I think Kinder Morgan knows the pipeline is no longer a good long-term investment, but I bet they drag this out as long as they can because it puts the B.C. and Alberta NDP in a difficult relationship. Without the pipeline issue, the new B.C. government (assuming the B.C. Liberals are ousted), together with our NDP government, could fully cooperate and accomplish amazing things for both provinces. I hope Notley and Horgan realize this is theatre. CQD! CQD! going down by the head! CQD, Notley, going down by the head! Prices fluctuate, so whether that premium exists at this exact moment may not be the biggest issue. It is an issue, but there is a bigger picture here too. Just this week the Chancellor of Germany basically called the US and “unreliable” partner. It is a sentiment that many Canadians, including many Albertans would agree with. The US has taken a number of protectionist moves lately and there is a fear this will continue. The US does not need Canadian energy at this time they are basically our only customer, China and the Far East would welcome it. If there ever was a time for us to diversify our customer base for energy, it is now. We as a country are in a position here where we can easily be held hostage or damaged by US economic interests and the people in power there are less reasonable than in the past. Even most conservative voters in Alberta have an awareness of this elephant in the room that we do not like to talk about. Without the billions of revenues from the oil and related industries, there would be no money for the Government of Alberta and the services it provides. I suppose we can continue to endlessly debate about pipelines, but it may be the national equivalent of fiddling while Rome burns. Thank you all for the well thought out discourse here. I get so used to reading the level of commentary in the MSM that I beginning to get a hate on for Albertans. I know full well that many Albertans are progressive and very smart people and this thread has reminded me of that fact. I am on Vancouver Island and our economy is based on tourism, fisheries and the nasty Real Estate reality here. 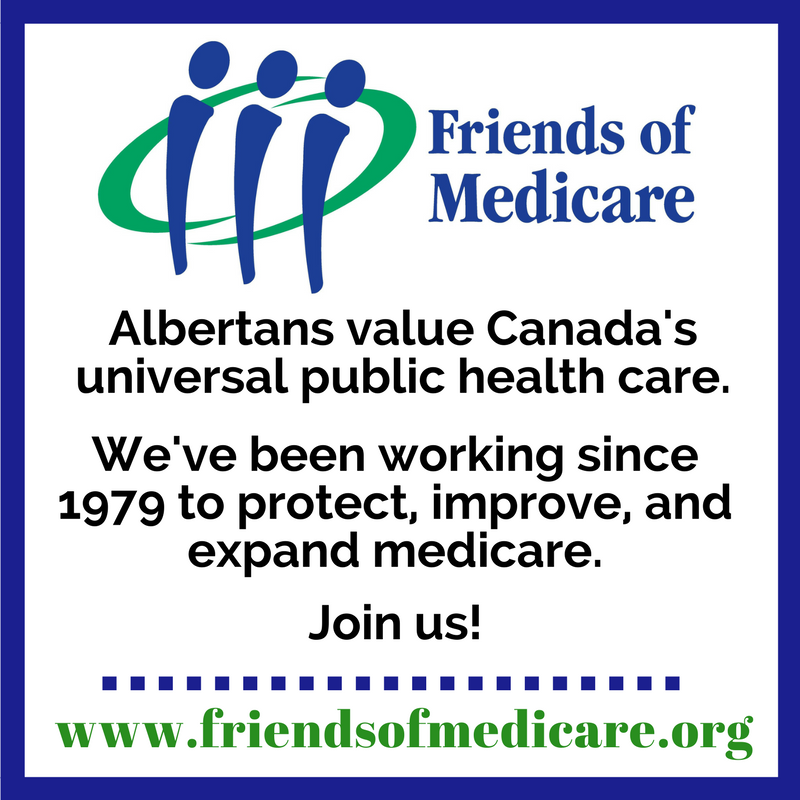 We cannot afford to sacrifice our well being for that of the rest of Canada, nor should we be expected to. I read an interesting comment today. Basically this was the question posed. Why does Rachel Notley push so hard for Kinder Morgan? Those on the left who support the NDP aren’t going to change their vote if it doesn’t go through, conversely those on the right aren’t going to vote for her if it does. Any thoughts? Maybe not all Albertans are on the left or right. I realize that might be hard for those consumed by partisanship and posting on daily political blogs. I am guessing some of these people work in the energy industry or have family or friends who do or otherwise realize it does contribute significantly to Alberta’s economy. I personally know someone who is an avid environmentalist who happily worked for a large pipeline company for years. It seems odd, but in the real world people struggle to balance their interest between the environment and jobs just as our governments are trying to do to. Good question. Like most political issues, I assume it has something to so with winning over the mushy middle. The comment you passed on is valid; a pipeline will not win Rachel Notley any votes on the extreme right, nor cost her any votes on the extreme left if she is unsuccessful. There are a lot of votes in the middle that are up for grabs though. any ambitious politician has own concern in regard of his/her lasting legacy. so far the carbon tax is the only legacy, which pretty sure gonna last in future, bonded with Ratchel Notley, premier of Alberta, name. not the best legacy, isn’t? so, quite logical, the pipelines, built during her governing, definitely can be something better and somewhat could balance negativity, attached to previous step. Exactly what I have said for years. The NDP is the only home for left/progressive voters. The right wing will never vote for the NDP. It was a good report, but the big flaw in terms of incomplete analysis with this report and the other one he did last year was that he factored rail into future use. What he didn’t mention is that the use of rail to ship oil has gone up dramatically in recent years due to the shortage of pipeline capacity. The whole reason why Keystone XL, the Enbridge upgrade, and Kinder Morgan are so needed is to reduce the amount of oil shipped by rail. It’s incredibly expensive and a bit dangerous and unsafe frankly. Even with Keystone and the Enbridge upgrade in the bag, the Kinder Morgan pipeline could help eliminate the use of rail and get back to the historical use of shipping rail by oil, which was mainly used for short-range shipping rather than the same distance as these pipelines. Yes, it would be a very bitter sweet victory for the BC Greens if they manage to stop or delay the pipeline only to see the oil transported by rail to a terminal where it is loaded on the same tankers they thought they had stopped. The safety risks for the nearby communities would probably be much higher. There is also some demonization of Alberta and Albertans by the BC Greens that I am not comfortable with and think is a bit reckless. This might be one of those cases where the saying “the enemy of the good is the perfect” applies. What’s amazing to me is the willingness of the mainstream media (CBC, Postmedia) to repeat the Kinder Morgan/Notley/Trudeau mantra without an ounce of scepticism. Canadians have been led to believe in a fairyland of higher prices and imaginary overseas markets thirsting for our low-quality sour heavy crude — without the slightest scrap of evidence. Why would China want our dilbit when it has better options already available? If China wanted our oil so badly, why isn’t it buying it now? KM’s Trans Mountain pipeline has been operating for decades. If the media will not challenge the propaganda, it’s up to citizens.